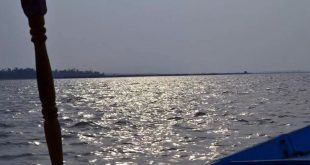 Bhubaneswar: Chilika Developiconicment Authority (CDA) has initiated a campaign for plastic and garbage free iconic Kalijai Island on the birthday of the legendary leader Biju Pattanaik. Biju Patnaik is the founder and 1st chairman of the governing body of CDA. Taking help of NSS volunteers of Balugaon college, members of three boat owners association, priests of the temple and other stake holders, CDA embarked upon this journey to create a trash free experience for the visitors and reducing the plastic waste flow to the lake ecosystem. 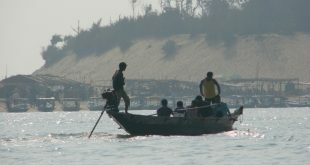 Spread over an area of 45 acres, the divine island houses Godess Kalijai, immortalized by late poet Godavarisha Mishra. The temple was built in 1717, by JagannathMansingh, king of Banpur. The temple is visited by thousands of tourist every month and during winter months it goes past lakhs in number. The biggest gathering is on Makara Sankranti day, with few lakhs having a darshan of the deity on that day. This pilgrimage tourism brings in its destructive consequences in form of huge plastics and non-degradable solid waste strewn all over the island and polluting the waters of Chilika lagoon. “Micro plastic is already a cause of concern world over due to such indiscriminate dumping’s in marine ecosystem. 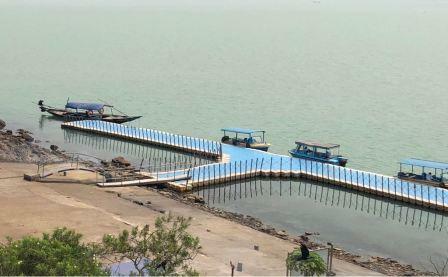 Thus to keep the lagoon safe from further degradation and to enhance the visitors experience in the place of reigning deity of the lagoon, campaign to clean the island and change the behavior of the boatman and tourist was initiated,” said an official. Tons of garbage was collected and safely disposed off today. There was huge interest among the participants and the tourist alike in this divine journey. 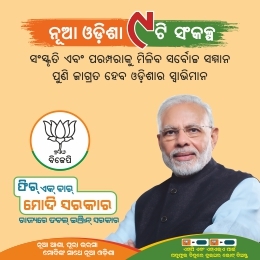 The campaign will continue till significant improvement is made and the system is able to tackle solid waste management on a sustainable basis. The NSS unit of adjoining colleges and the boat owners association have been requested to adopt the island and take up the cleanliness every month. The tourist will be prohibited from carrying plastic to this sacred place. The innovative journey will be monitored at regular interval by CDA to make the island a plastic free zone. It is also proposed by CDA to shift all the shops adjoining to the temple to a safer distance and create other public amenities for the visitors in near future.